One of three eastern Canada maritime provinces, Nova Scotia is known as ‘Canada’s Ocean Playground’. In fact, those words are on the province’s licence plates, along with an image of its iconic tall ship, the Bluenose II. 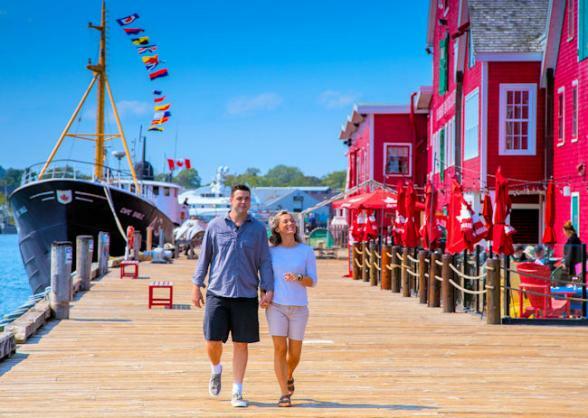 Apart from offering a spectacular day at the beach, Nova Scotia is renowned for its cultural, culinary and outdoor offerings as well as its friendly people. The largest city in Atlantic Canada, Halifax is an urban centre wrapped in seacoast history. It has a vibrant, walkable downtown and sophisticated shops, galleries and cafes. The tides of the Bay of Fundy are the highest in the world, rising upward to 54 feet, carving a dramatic landscape. 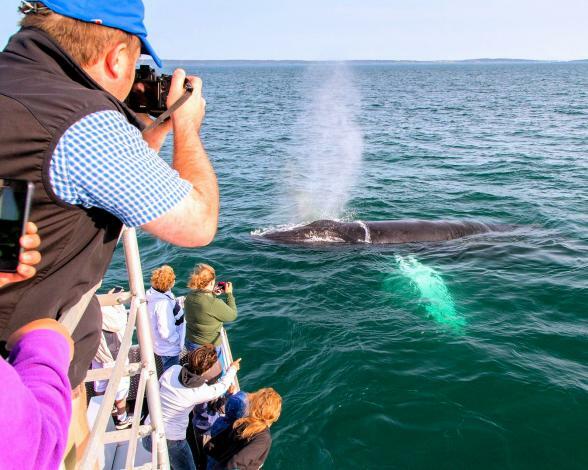 Watch up to 15 species of whales frolic, walk on the ocean floor, go tidal bore rafting, or simply savour the heartland of Nova Scotia’s farming and wine country. Nova Scotians have a long-standing connection to the land and sea. Abundant fisheries and rich fertile farmland combine to create an overflowing pantry of award-winning culinary inspiration. Be sure to sample wild blueberries, Glenora single malt whisky, succulent fresh lobster, delicious scallops and juicy pears and strawberries. Opt for cooking lessons and food tours, or take in Nova Scotia’s vineyards, micro-distilleries and craft breweries. In Nova Scotia you will discover fine arts and crafts in galleries and boutiques throughout the province. Many studios open their doors to the public, giving visitors the opportunity to experience and observe traditional activities first-hand; think rug hooking, wine making and glass blowing. The province is home to two National Parks. 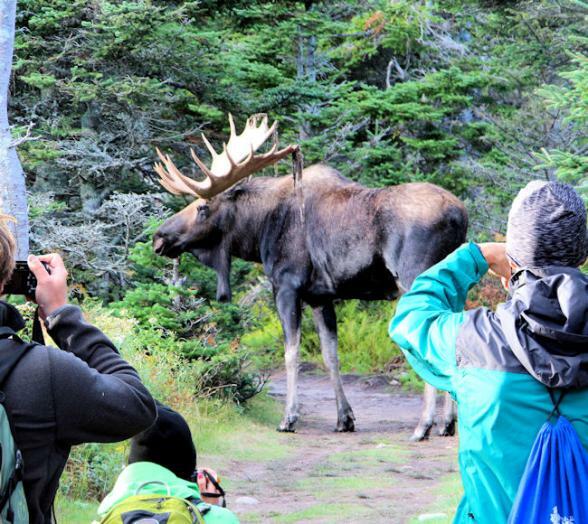 Kejimkujik National Park has earned the designation of Dark Sky Preserve by the Royal Astronomical Society of Canada. In the heart of “Keji” visitors can enjoy one of the clearest night skies on earth, with experts on hand to provide an astronomical guide to planets, constellations and distant visible galaxies. 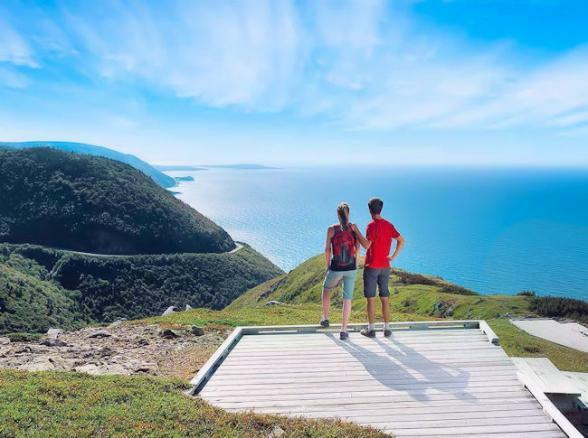 The Cape Breton Highlands National Park offers hiking experiences ranging from relaxed strolls to rugged challenges. 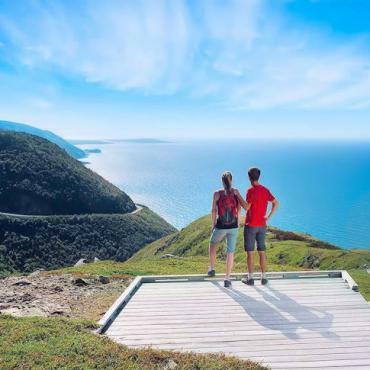 The Skyline Trail delivers a breath-taking view of the Cabot Trail, amid whales offshore, bald eagles above and you may get a glimpse of moose. 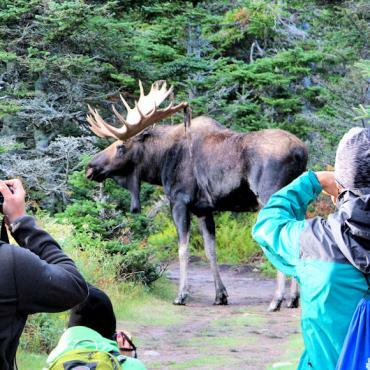 Nova Scotia boasts five UNESCO designated sites. The Landscape of Grand Pré is rich in Acadian history and culture and is the setting for one of the provinces best known wineries, Domaine de Grand-Pré . The waters of the Bay of Fundy reveal the 300-million-year-old story of life at the Joggins Fossil Cliffs. 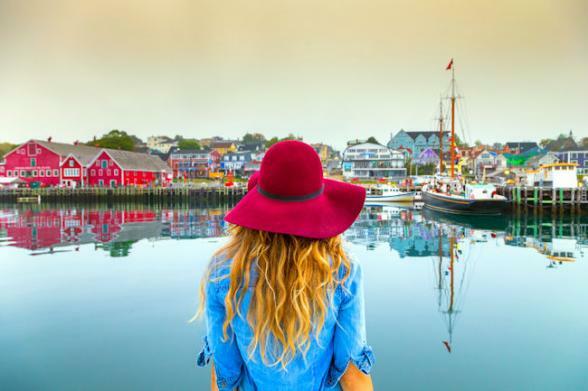 And the colourful and architecturally significant Old Town of Lunenburg, established in 1753, is the best surviving example of a British planned colonial settlement in North America. Sailing Canada’s largest inland sea, the Bras d’Or Lakes, provides a stunning view of barriers, beaches, rocky headlands and barachois ponds and wetlands, earning it the biosphere reserve designation. The Southwest Nova Biosphere Reserve protects boreal forests and significant archaeological sites within this region. 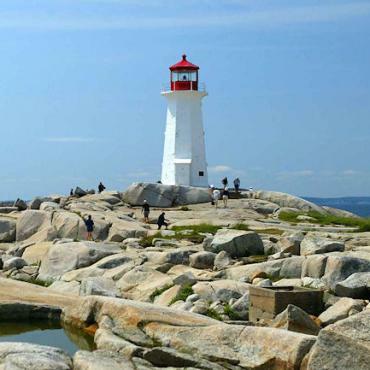 The iconic Peggy’s Cove Lighthouse stands upon granite boulders along the Atlantic coast, making it the perfect location for picture taking and for exploring the nearby working fishing village. With 28 provincial museums and interpretive centres , 13 National Historic Sites , and dozens of community-based museums , Nova Scotia's storied past offers plenty of historical adventure. History buff scan step back in time to 1744 at the Fortress of Louisbourg, visit the Alexander Graham Bell Museum or learn about Canada’s history of immigration at Pier 21. Discover the story of Nova Scotia’s connection to the Titanic at the Maritime Museum and see the kilted 78th Highlander Regiment of the Atlantic at the Halifax Citadel. 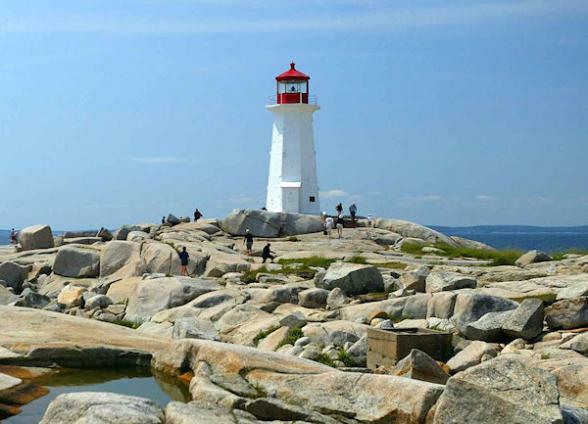 For tailor-made holidays to Nova Scotia contact the experts at Bon Voyage. 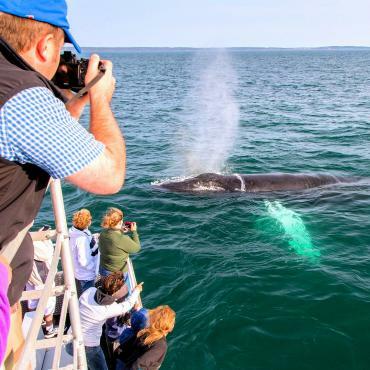 From whales to wine, and everything in between, Canada's Maritime Provinces of Nova Scotia, New Brunswick and Prince Edward Island are a holiday trio that need to be on your list. Scenic landscapes, savoury lobster, whale-watching and private Tauck evenings highlight this Prince Edward Island and Nova Scotia travel adventure. 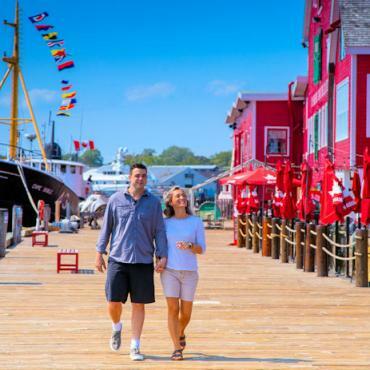 Scenic Baddeck, vibrant Halifax and cultural Charlottetown are just three of the highlights on this trip, which showcases the traditions, people and landscapes of the Canadian Maritimes.